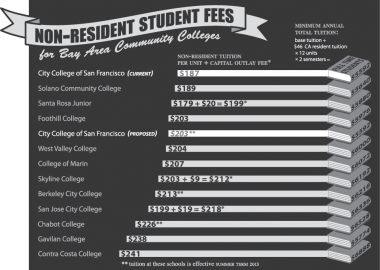 Not even a month into the new semester, City College has already proposed its plans to increase nonresident fees at the beginning of 2013 summer session. An open meeting that addressed a possible out-of-state tuition increase was held on Jan. 29 inside the Associated Student Body building. About thirty students attended the meeting to voice concerns. Staff members from the International Students Department, as well as the Vice Chancellor of Finance and Administration, Peter Goldstein, spoke at the event. 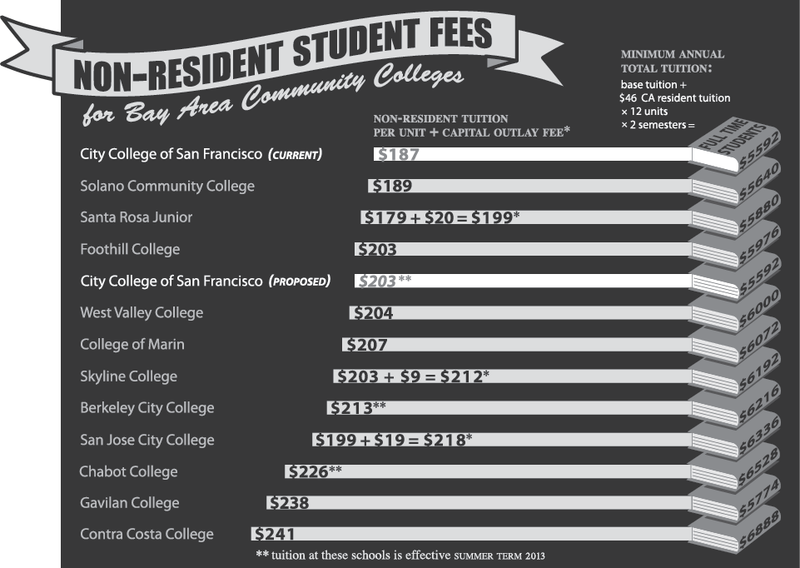 Currently, nonresident students pay $46 basic tuition cost along with an extra $187 per unit foreign fee. The college is now looking at a $16 foreign fee increase, which will raise the nonresident fee to $249 per unit instead. Other student concerns include lack of availability of counselors, textbooks, computers, other likewise school equipment and limited access to the Wellness Center. “It’s not reasonable to increase the fee. It’s easy to register for classes online, but the general student service is so bad,” said Bo Di, a fifth semester City College international student. Final decisions regarding nonresident tuition increase will be reached during the next board meeting on Feb. 7 at Ocean campus.